Emanuel Adler is the Andrea and Charles Bronfman Chair of Israeli Studies and Professor of Political Science in the Department of Political Science at the University of Toronto. He is also Honorary Professor at the University of Copenhagen, was editor of International Organization, and a Professor of International Relations at the Hebrew University of Jerusalem. 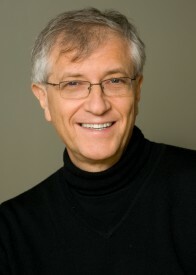 His publications include books such as The Power of Ideology; Security Communities; Communitarian International Relations; Convergence of Civilizations, and International Practices; and articles such as “Seizing the Middle Ground: Constructivism in World Politics” and “The Emergence of Cooperation: National Epistemic Communities and the International Evolution of the Idea of Nuclear Arms Control.” His current research includes projects on international practices and the evolution of international order, a constructivist reconsideration of strategic logic, and Israel’s relations with the world.